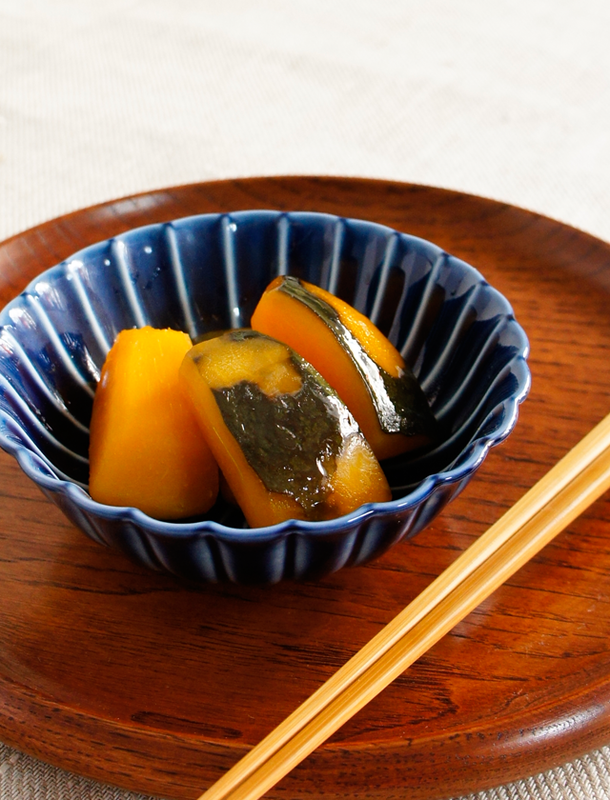 I always cook this soy simmered squash with just soy sauce, mirin and sake, without dashi. 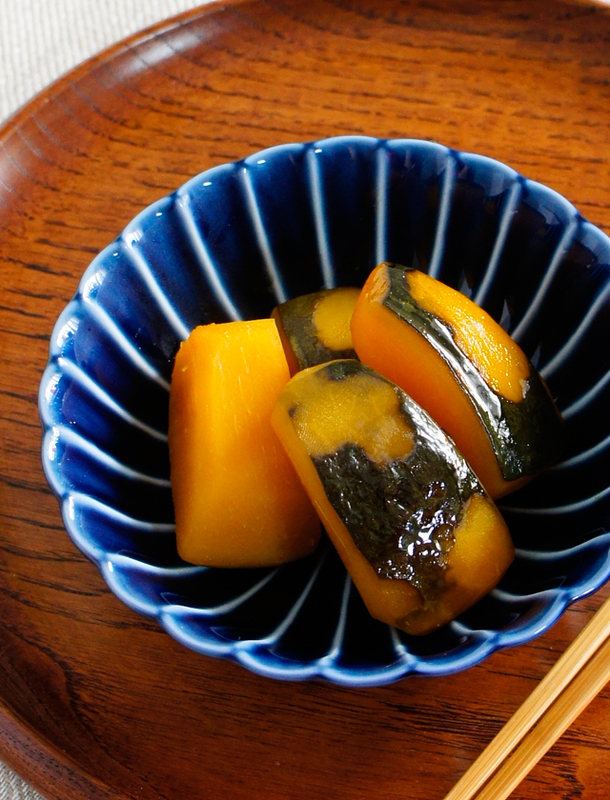 So it’s really easy to make and you can taste sweet soy Kabocha flavor. The squash can be tough to cut, so microwave it for 3-5 minutes to soften the skin. Let the squash cool slightly enough to handle. So you can cut them into cubes or slices easily. Cut the squash into large bite-sized cubes. Place them in a medium size pot and add all ingredient over mid-high heat. Bring to a boil, the heat to low and simmer until tender and the soy mixture is almost absorbed.